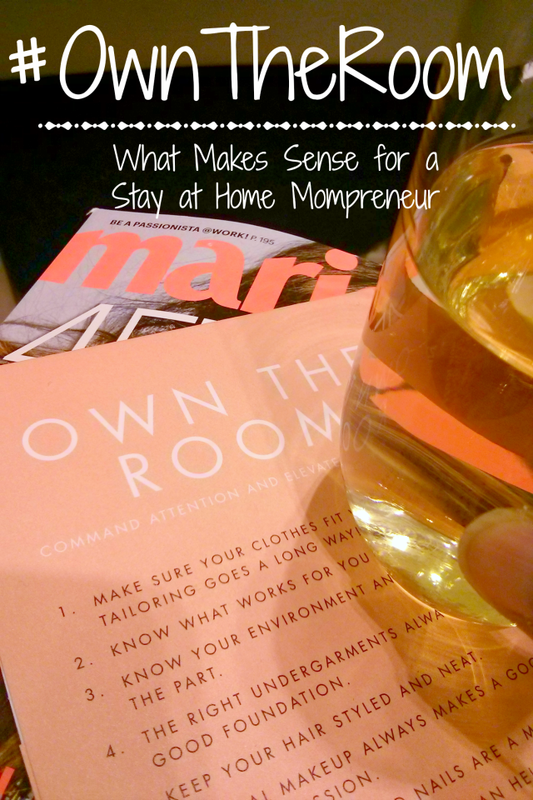 I attended Anne Taylor and Marie Claire's Own the Room event last week. I went because I've been seeking out opportunities to learn and flex my networking muscle. Given my socially awkward nature, it's very difficult for me to put myself out there but I'm always looking for growth opportunities. It's necessary for my entrepreneurial path. Also, I enjoy a good wine & cheese event. Own the room did not disappoint. The event included a panel discussion on the topic of commanding attention to elevate your career. The panel included: Lea Goldman, Marie Claire's Features Director, Farnoosh Torabi, author of the soon to be released book When She Makes More, and Madison Shoop, Marie Claire Merchandising Editor. 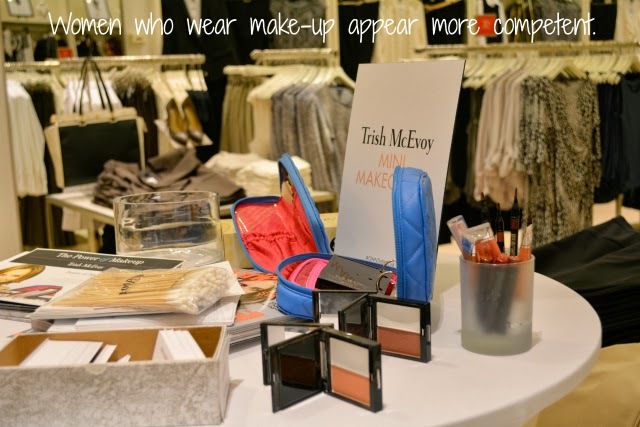 Guests were also treated to a fashion presentation, make-up touch ups from Trish McEvoy, a photographer to take professional head shots, 10% off at Ann Taylor, small bites and beverages too! While all of the rules didn't necessarily pertain to my life as a work at home entrepreneur, there were some nuggets I found useful to me and I think every woman on a journey to career success. Wear a proper fitting bra that lifts and supports. Basically, say no to uniboob or quadroboob. You'll look better in your clothes. Also, have clothes tailored to fit you. Short legs? Hem them up. I'm a big advocate of both. It can make all the difference. Before people can get to know you, they see the outside so make sure you're presenting a nice package. Women who wear makeup appear more competent. Cosmetics create a placebo effect for the wearer. The wearer feels more confident. Everyone sees that confidence and just knows that's a woman who knows her sh*t business. When I go out to events or when I'm home taking outfit pictures, I wear makeup. It make me feel more polished and put together. It does give me a little confidence boost. 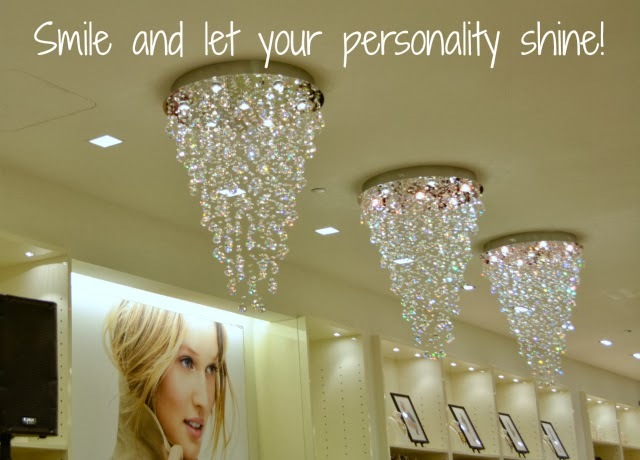 After you've taken care of your outer experience, wear your best smile and let your personality shine. I'm not a "smile" person and I'm sometimes mistaken for rude or unapproachable. Baring of the teeth (in a friendly, genuine way) does work. Whether on a date or holding up a wall at an event, giving a smile makes others feel at ease. It's one of my favorite techniques to use in social situations. 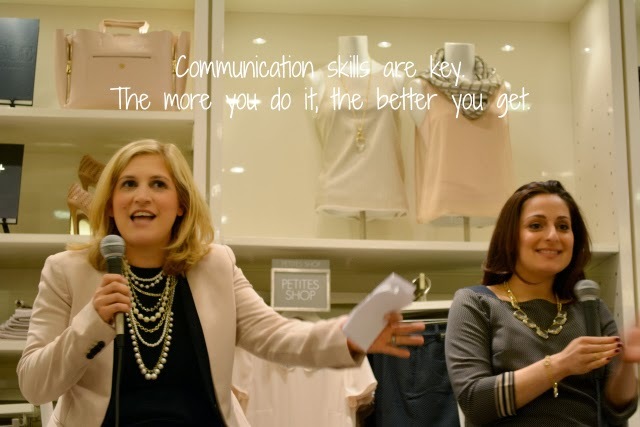 In the the end, you still need to communicate well in order to get people on board with your vision. It's the biggest struggle of them all. Clothes and a smile are easy. Communication with new people tops my list of scariest things in the world. My insides are in knots. My mouth is dry and sometimes I draw a complete blank and have nothing to give but my shiny metal mouth smile. This is why I throw myself into events such as this. The more I do it, the better I'll get or so I'm told. I did meet some new blogging buddies between swigs of prosecco so...progress. I met LaToya of The Fat Girl of Fashion, J. Enovy of Tall District, Kim of fashioncents.tv, and Sean of Shop Around Chicago. Owning the room is all about presenting your best self, attracting people to you and getting them on board with what you're about. I have a ways to go so I do make sure I pay extra attention to my outer appearance while I build up those communication skills. It won't be long before I'm owning the room. Do you own the room? What tips do you have? I wish I could attend fun things like these! Unfortunately I work nights and weekends. Not many blogging get togethers in Cincinnati on a weekday! Sounds like you learned a lot. This looks like a awesome event. Personal and professional growth is oh so imperative. Glad you enjoyed it.